Looking to get your music in print? We offer exceptionally runs as small las 25 books and offer a 3-4 day completion time. This means no significant investment or inventory. Contact us to obtain samples. Sample pricing: 48pg, 9x12" with 12pt cover $5.00 each in quantities of 50+. 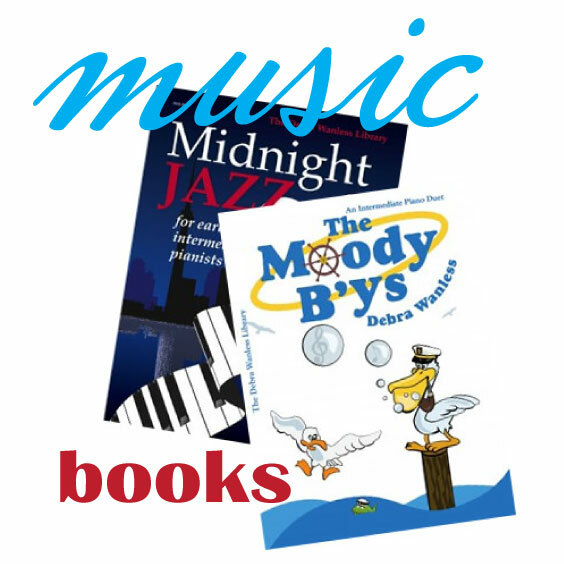 Music books are printed in two popular sizes with other options available. Books feature a heavyweight printed 4-colour cover and 28-lb internal pages. Cover designs can be as unique as you want – if you can’t design it we can do it for you. Books are available in standard sizes and custom formats. Our unique square-fold stitched books lay flatter and wear better. Wire coil binding is available for books > 68 pages and is a durable, attractive solution. Paper/Finish: 12PT cover stock with 70-28lb text internal pages. Options: Square-fold, stitched binding or wire coil. Sizes available (finished) include: 8.5″ x 11″, 9″ x 12″, 11 x 8.5 (landscape). Custom sizes available. Finishing: Trimmed, square-fold stapled, wire-bound. Design Requirements – Do not imposition your book. Simply provide it as a sequential document with pages at size. Cover art should be submitted as a separate file, in spread format at finished size plus a .125″ bleed with back on the left and front cover on the right. For example, a 32 page 9×12″ book requires a cover of 18.25″ x 12.25″. The internal pages would be a 32-page PDF document with a page size of 9×12″. Subscribe to our newsletter and receive a $10 coupon on your next purchase.